Allogeneic stem cell transplant is the only cure for β Thalassemia Major, but even with a matched sibling donor transplant, graft rejection is an unfortunate but all-too-common complication that may occur in up to 30% of transplants. This is especially true among patients older than 7 years of age and those with inadequate pre-transplant supportive care. Inadequate blood transfusions and sub-optimal iron chelation therapy can lead to iron overload-related end-organ damage. The liver is one the organs that is affected early and significantly by iron overload. In addition to the risk of graft rejection, these high-risk patients and those having a second transplant are increasingly susceptible to toxicity secondary to the drugs used as part of the conditioning regimen, especially a form of hepatotoxicity called sinusoidal obstruction syndrome. The combination of these factors makes the utilization of drugs that have low hepatic toxicity and reduced regimen-related toxicities worth exploring in these groups of patients. Following an allogeneic stem cell transplantation graft rejection, either as primary graft failure (never engrafted or very early graft failure) or with a gradual drop in chimerism leading to secondary graft rejection and transfusion dependence, necessitates a second transplant. 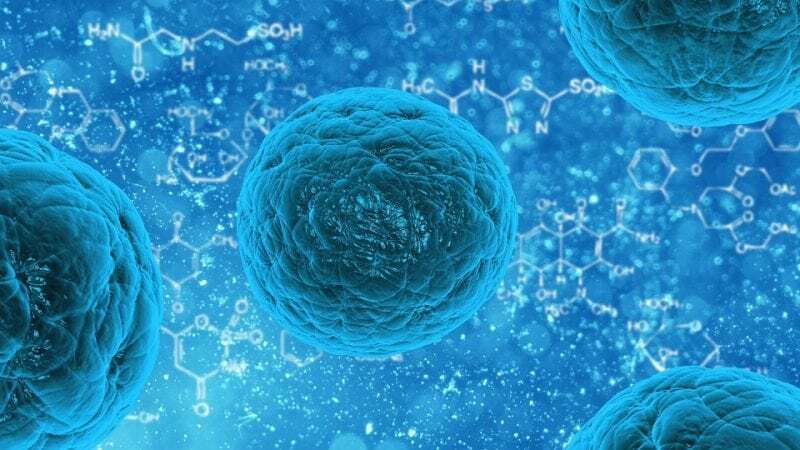 In cases where there is autologous recovery, either spontaneous or by re-infusion of banked autologous stem cells, the transplant may be deferred to allow organ recovery. However, in cases of rejection with aplasia (usually in primary graft rejection), a second transplant is considered urgent, to prevent complications secondary to aplasia. Treosulfan an analog of busulfan has reduced hepatotoxicity and other regimen-related toxicity compared busulfan. 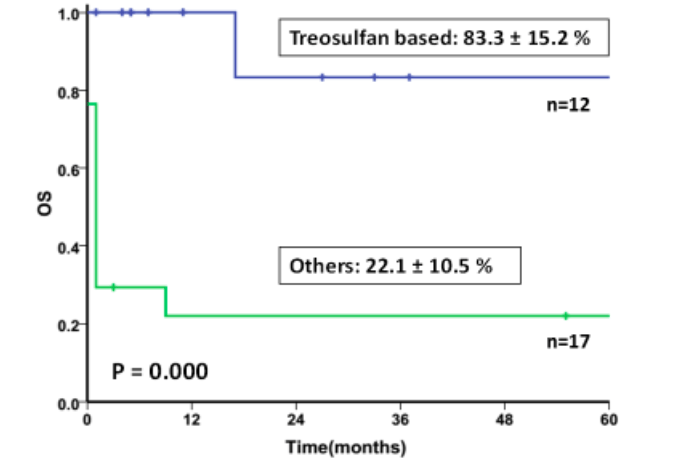 Hence, treosulfan is an option worth considering to replace busulfan in the conditioning regimen for second transplants in patients with Thalassemia major. We had earlier demonstrated that using this agent along with a peripheral blood stem cell graft significantly reduced the rate of graft rejection and improved the clinical outcomes of high-risk thalassemia undergoing an allogeneic stem cell transplant. There was no published data using this agent for conditioning in patients undergoing a second transplant in Thalassemia major. Here we report our experience in the management of graft rejection and the impact that a treosulfan-based myeloablative conditioning has had in this subset of patients. We describe outcomes in 62 patients with Thalassemia Major who had graft rejection, of whom 32 had a primary graft rejection. Twenty-nine patients underwent a second transplant using the same donor. With the exception of one case, all the second transplants were done using the same donor as that used for the first transplant. Outcomes with different conditioning regimens were compared. Here we demonstrate a significantly superior clinical outcome in patients who had a second transplant using a Treosulfan-based myeloablative conditioning regimen along with a peripheral blood stem cell graft, with Thalassemia free and overall survival >80%, in comparison to other regimens (Figure 1). In this series, graft-versus-host disease (GVHD) prophylaxis was modified, with omission of Day 11 methotrexate, in view of the high risk of rejection. Despite this modification, this incidence of GVHD was not higher than that seen with standard regimens. A large percentage of patients in this study did not undergo a second allogeneic transplant. In this cohort of patients, all cases with aplasia had early mortality which was secondary to infections following the first transplant. Among those that had autologous recovery, all but three continue to be transfusion dependent. The reasons for deferral of transplant are not clear, due to the retrospective nature of the study, but our experience would suggest that the most common reason for deferral was the absence of financial resources to proceed with a second transplant. The infectious risks associated with transfusion, iron overload and challenges of adequate chelation are ongoing in this group. This study demonstrates encouraging results that can be obtained following a second transplant using the same donor in patients with Thalassemia who have rejected the first graft after the use of treosulfan based myeloablative conditioning regimen and a peripheral blood stem cell graft source. These findings are described in the article entitled Second Hematopoietic Stem Cell Transplant for Thalassemia Major: Improved Clinical Outcomes with a Treosulfan-Based Conditioning Regimen, recently published in the journal Biology of Blood and Marrow Transplantation. This work was conducted by Anu Korula, Nisham PM, Anup Devasia, Kavitha M. Lakshmi, Aby Abraham, Eunice Sindhuvi, Biju George, Alok Srivastava, and Vikram Mathews from Christian Medical College and Hospital. Anu is an associate professor at the Christian Medical College in Vellore, India. Anu's research interests include diagnosis and stem cell transplant in Primary immune deficiency disorders and the biology and management of lymphoma.